You’ve probably been told to stay away from certain high-cholesterol foods so that you can keep your cholesterol in check. 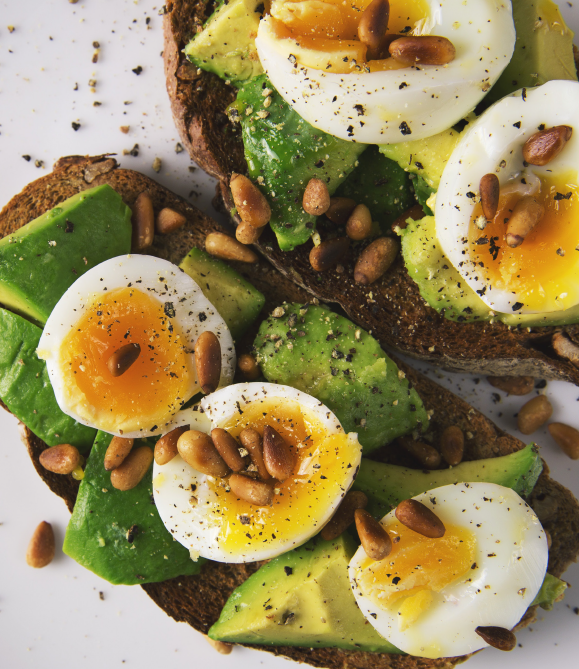 While eating things like eggs or cheese can raise the cholesterol levels in your blood, it’s a relatively modest raise. What does raise blood cholesterol levels, though, are saturated fats. In short, saturated fats are a type of fat that contain a high proportion of fatty acids without double bonds. While they’re not the worst type of fats you can consume, they’re not the best either. Saturated fats raise total blood cholesterol levels more than dietary cholesterol because they tend to boost both good HDL and bad LDL cholesterol. The net effect is negative, meaning it’s important to limit saturated fats. Limiting saturated fats in your diet is key to maintaining a healthy weight and good cholesterol levels and avoiding chronic conditions. Sauté with olive oil instead of butter. Use olive oil instead of vegetable oil in salad dressings and marinades. Sprinkle nuts or sunflower seeds on salads instead of bacon bits. Snack on a small handful of nuts rather than potato chips or processed crackers, or try nut-butter spreads (nonhydrogenated) on celery, bananas or rice cakes. Add slices of avocado, rather than cheese, to your sandwich. Prepare fish such as salmon and mackerel, which contain good monounsaturated and omega-3 fats.